Sono stati annunciati ieri 15 luglio, durante la Readercon, i vincitori dell’edizione di quest’ann dei Shirley Jackson Awards per la letteratura horror, dark e suspence psicologico. La valutazione è stata effettuata da una giuria di scrittori professionisti, editori, critici ed esperti. Qui di seguito la lista dei vincitori. The winners of the 2017 Shirley Jackson Awards were announced at Readercon 29 on July 15. The Shirley Jackson Awards are given for outstanding achievement in the literature of psychological suspense, horror, and the dark fantastic. 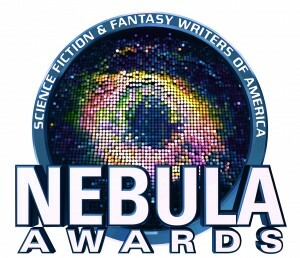 They are voted upon by a jury of professional writers, editors, critics, and academics. See above the full list of the winners. La Locus Science Fiction Foundation ha annunciato la lista dei finalisti per i Locus Awards 2018. I vincitori saranno proclamati durante il Locus Award Weekend in Seattle, WA, previsto per il 22-24 giugno 2018. The Locus Science Fiction Foundation has announced the finalists in each category of the 2018 Locus Awards. Winners will be announced during the Locus Awards Weekend in Seattle WA, June 22-24, 2018. Among the finalists, The Changeling by Victor LaValle, Ubo by Steve Rasnic Tem and Agents of Dreamland by Caitlín R. Kiernan. The complete list is available at this link.